I wanted to surprise my girlfriend by coming back to Thailand early for her birthday. But the August 12th Thai Visa changes had me a bit paranoid. Everyone online has been freaking about about the new Thai Immigration Crackdown and changes. 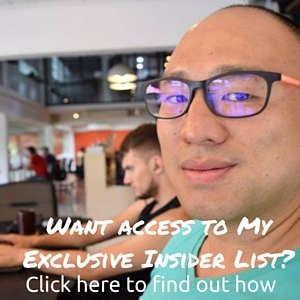 On the Thai Visa forums everyone has an opinion and their "senior members" (read: people that have too much time on their hands) claim that it is now impossible to come to Thailand as a digital nomad or location independent entrepreneur. 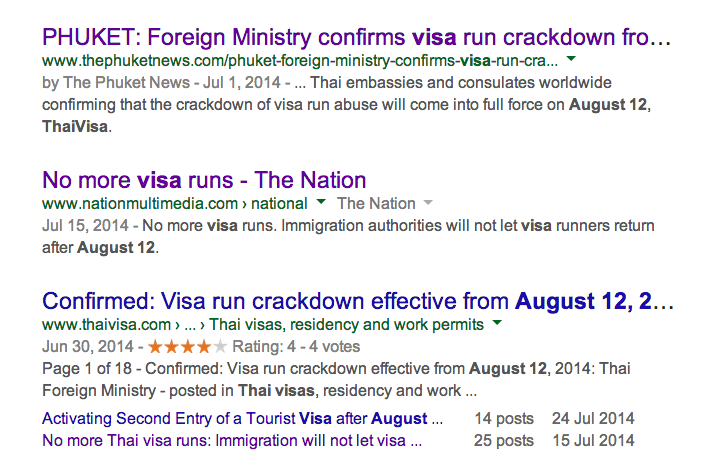 "Confirmed: Visa run crackdown effective"
"Visa runs BANNED from Thailand"
The Thai government wants to stop people from abusing the system. If you are reading my blog, chances are you are not one of those people they are trying to kick out and neither am I. Also everyone who gives answers on the forums are really giving their opinions. No one, including myself really knows what is going on. The best source of answers are trip reports from people who have actually went through immigration after August 12th. I flew into Bangkok and went through BKK immigration on August 16th 2014. I activated my 2nd part of my double entry Tourist Visa. I've been "living" in Thailand on and off for the past 5.5 years. I have 10+ Thai Visa stamps in my passport. 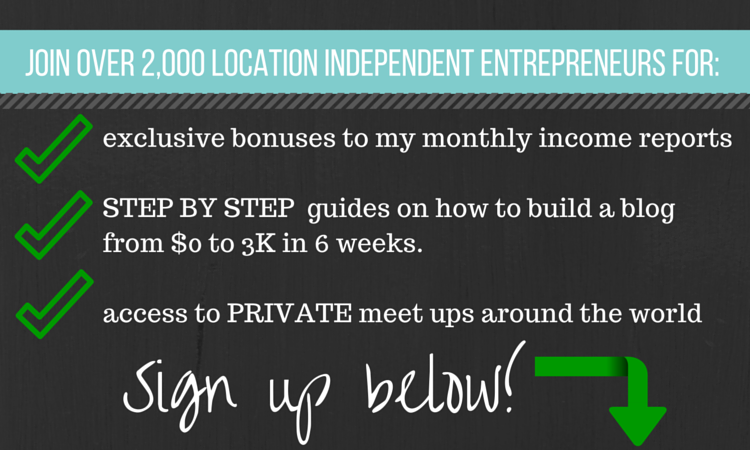 I work online as a location independent entrepreneur. I followed my own advice from the post I wrote on July 15th, 2014. I came prepared with all of my paperwork printed out including bank statements, hotel bookings, and a travel itinerary and even tried to withdraw a bunch of Thai baht before going through immigration. Luckily I didn't need any of that. Just by following a simple rule, I was able to get through immigration without any issues. 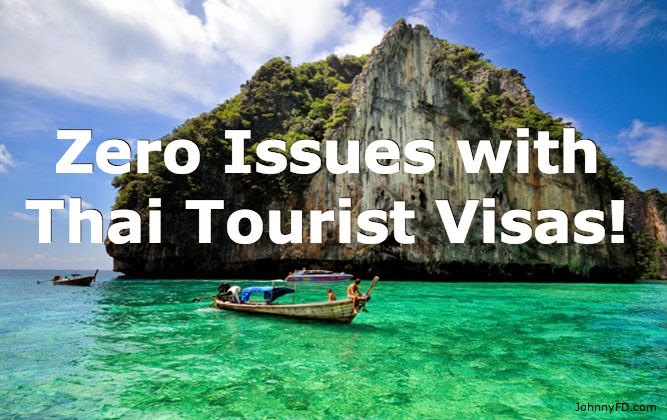 Read the Thai Visa Solution blog post here. Best of luck to everyone and enjoy Thailand, it's an incredible country. Enjoy this post? Comment and Share it with your friends! Good to see you're back! Let's visit the cat cafe soon ;) Cheers! I'm down! Let's go Tomorrow afternoon or Monday! I love following your blog as you have the "real" inside scoop on Thailand. Will be moving out there in November as a digital nomad. Anything beyond what you've written to worry about? Hey Rob, happy to to be able to provide the inside scoop on the real Thailand. Just make sure you get yourself a double entry tourist visa before you come out. If you haven't already read www.12WeeksinThailand.com as there are a ton of tips in there as well. Hey, I didn't see here or on the other blog where you told people about getting an Education Visa - if you're not a teacher and you don't want to do Visa runs, you can just enroll in some Thai language courses for a couple of hours a week and get a 1 year 90 day visa right there (and extend it easily for another two or three years). You just have to find a credited school - it could be language classes, cultural studies (Muay Thai is considered cultural studies and even Thai dancing or art). It's cheaper than having to do all that travel ($300 for a full year of language classes) and you get to learn more about the culture, so that's a huge plus. If you are a 'digital nomad' running your own business on the internet, the immigration office says you can do this on a tourist visa. Hey William, thanks for bringing up the Education visa. I have a few friends who have jumped on it and enrolled. I would suggest it only if you actually want to learn Thai. As for Muay Thai, I used to be on a ED visa for it, but most embassies no longer allow it. Hope it's still cool to travel there in October. Hey guys. I've never traveled out of the us but my plan is to go in november to chiang mai. I'm getting a settlemrnt amount finally that kept getting pushed back. But lets say I start with just $7500. Minus $209 for a passport(I think that's avisa right?) And flight which is kinda expensive. At least $1,000. So I would have like $6500 to rent a place and start my online business. Would that be enough? Plus if I like it there can you try to get citizenship? Hey Aaron, $6,500 is enough for you to live out here for 6 months while you work on your new business, which is plenty of time. 3-4 month is usually a good amount of runway. I wouldn't worry about the citizenship until later. Just come on a tourist visa. Make sure you read both www.12WeeksinThailand.com and www.LifeChangesQuick.com before you come to give you a good idea of what to expect. 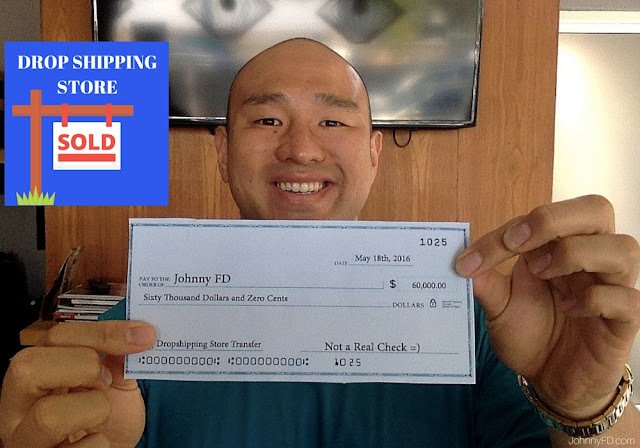 Thanks johnny. Ya I was previewing your first book looks like a must have. And the second one looks very inspiring. What do you think about the education route to study muay thai? I would love to do that anyways so it would be awesome!! Hey Aaron, finish reading 12 Weeks in Thailand as I talk about Muay Thai visas and extended life out here. How lucky I am to find this post today! I was having no luck in figuring this all out. I'm wondering, how vital is it to have a return ticket? I'm getting the 60 day tourist visa and extending it to 90 and then moving on to Vietnam or Cambodia and not returning to Thailand. I don't know when I'll go home exactly, likely in 6 months or so and I don't know where I'll be yet so I don't have a return ticket. Do you think that will be an issue? Hi Maryanne, I've never had a return ticket and have only been asked for it once. I just told them my plan was to take a train to Laos and they were fine with it. So your plan is fine =) Some other countries however are more strict with return tickets but the workaround is you don't need a return ticket to the USA or wherever home is, you just need a ticket leaving the country. Which is available on Air Asia for less than $50 usually. Thanks so much for taking the time to reply to me, that was really helpful. I just discovered your blog today and I'm headed to Chiang Mai after Bangkok. What you're doing really inspires me, I'll definitely be looking through your old posts and keeping up with your new ones! I read your blog its very nice and informative,thanks for your valuable information on travel.